Tokyo Game Show this year was pretty good. Even if there wasn't an announcement that particularly blew my mind, there were enough trailers of games I was already keen for to keep my hype going hopefully until the end of the year. TGS 2017 for me is mainly just a reminder that the next 12 months are already looking fantastic, with interesting new IPs coming out, great remasters and spinoffs, and some of my favourite series getting new additions. With plenty of hope that it's given me hype that will last, these are my favourite announcements and trailers from TGS 2017. Code Vein continues to show itself as a title to watch for JRPG fans, especially if you like the idea of Dark Souls but in an anime style. Most people know by now to expect challenging gameplay and quite a few games media sites wrote about Code Vein’s difficulty after playing it, which I’m looking forward to experiencing for the first time as someone who hasn’t played the Souls series yet as I think this art style is a good way to get someone like me in. 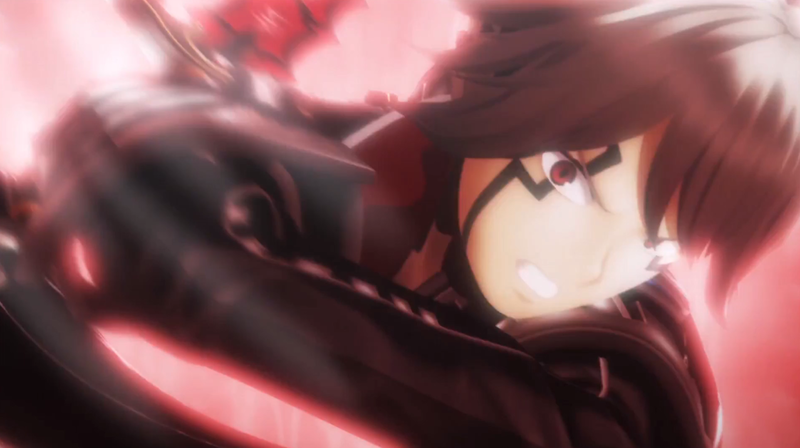 What I really liked about Code Vein’s TGS trailer was how intriguing it was as a whole, with it solidifying the vampire theme in its story by talking about blood beads and getting a first look at some other characters. This fascinating game won’t come out until next year, but this trailer was the best one yet and I don’t think I’ll be forgetting about it anytime soon. The original Digimon Story: Cyber Sleuth game was one of my first favourite’s on the PS4, with its in-depth monster raising and collection, and its digital twist on the detective story style. I wasn’t expecting another trailer for its sequel Hacker’s Memory just yet, but I’m glad to say that the TGS trailer only intensified the fact that I really want get it on release day. 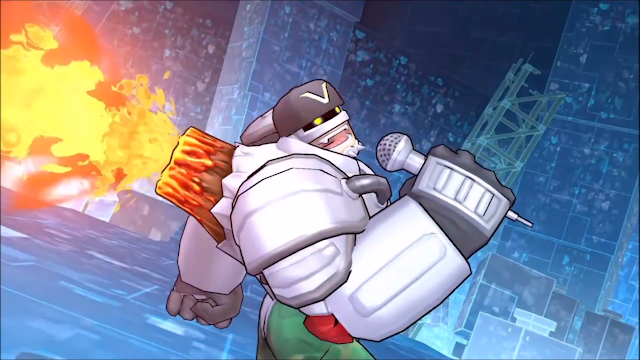 The trailer features a very similar vibe to the original game, with the tease of Digimon with a new type of AI and running around digital and real worlds again. Honestly, I’m just excited to collect as many Digimon as I can and run around virtual Tokyo again with some of the quirky characters I remember and whether it's better or similar than the last one, I’m pretty sure I’m gonna have a lot of fun making an Agumon Army when the time comes. I’ve been excited for .Hack//G.U. ever since it got announced and the promo video for it at TGS was a good look into the characters and themes of it. I’ve personally only played bits of the original .Hack// (not G.U.) PS2 games but never to completion, so it was interesting to see the characters for G.U. a bit more. Now that I think about it, there were a few more interesting games based around MMOs and hacking themes at TGS this year than usual, but .Hack seems to be the first one to be coming out and with November probably rolling around before we know it, this is a good reminder to get ready for it. 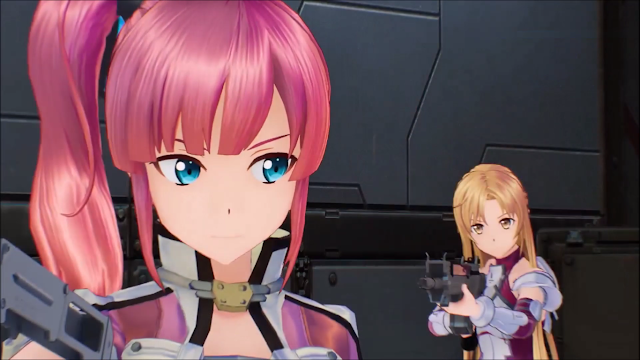 Speaking of games based around MMORPG themes, Sword Art Online: Fatal Bullet has been one that has been surprisingly getting my attention with each of its new trailers and its TGS 2017 one was no exception. I heard a few people on podcasts mentioning its gameplay looked a little like Freedom Wars, which I can see a little bit in some of the trailer gameplay and previews shown this time round. I was quite addicted to Freedom Wars back when I got it and have been wanting to catch up on Sword Art Online’s story for a bit as I stopped after the first series, so Fatal Bullet could be a good gateway back into the series if it’s good. 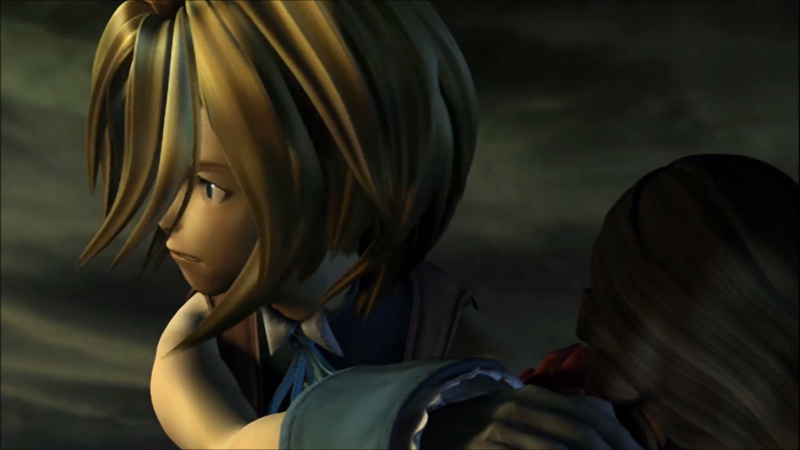 In a somewhat unexpected move, a Final Fantasy IX PS4 release was announced and dropped during Sony’s Pre-TGS conference. Final Fantasy IX is one of the most beloved Final Fantasy games by a lot of fans, so having it in the PS4’s library of games is definitely a quality addition. I was happy about it too, although I played Final Fantasy IX a couple of years ago on my Vita and PS3 without trophies so it might not be something I play immediately. I am interested in its trophy and high speed playing features though, as my only issues with it were that it was a little slow by modern standards so perhaps I’ll jump in to play it in a more enjoyable way sometime. The big news for Dissidia Final Fantasy NT was the confirmation that Final Fantasy XV’s Noctis will be in the game, which ever since it was announced I’ve been hoping for. 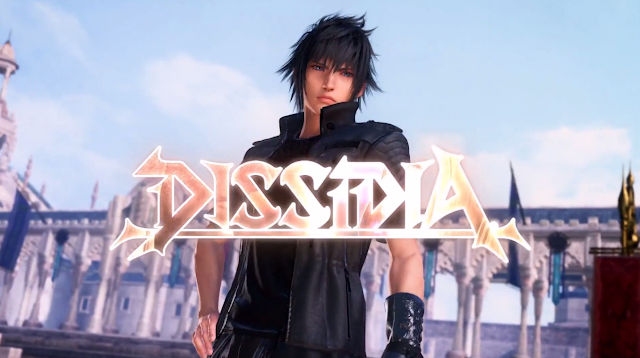 The arcade version I’ve played of Dissidia NT had no Final Fantasy XV presence, so having Noctis join the group of other Final Fantasy series protagonists and characters gives me something new to look forward to when it comes out. Also to look forward to in Dissidia are things I hadn’t seen in its gameplay before, particularly the moment where the characters seem to be fighting Ifrit, which is intriguing because in the arcade version summons fight by your side rather than against you, so I wonder if this is a story fight or something else. Either way, I’m more interested in it and reminded about it, with this game coming out in January only making my purchasing decisions for that month that little bit harder. Final Fantasy XV Universe announced and talked about various ways it will be expanding, including more story content going into 2018. Those I didn’t really care about though, as what I really cared about was the tiny Episode Ignis snippet shown in the Universe trailer. 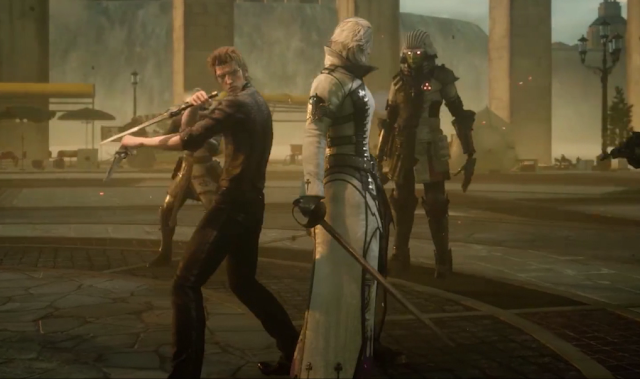 It’s not much at all, but it shows Ignis with a less put together hairstyle and gloves off, ready to fight, alongside the not-so-friendly Ravus of all people. The character combination is one I would have never guessed and although I’m sure it’s going to be an emotional chapter, it is the only piece of Final Fantasy XV material I’ve remained consistently excited for this year and this little peek at it gives me hope that it will do that excitement justice. What were your favourite JRPGs from TGS 2017? Will you be picking any of these titles up? 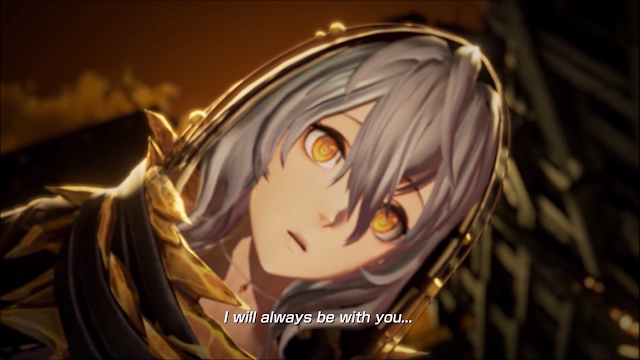 Looking forward to Code Vein for sure, as God Eater 2 Rage Burst was phenomenal, and like you I'm feeling oddly hyped by Fatal Bullet. This despite the fact that I hate SAO with a fiery passion. I mean, its definitely the Freedom Wars DNA that's got me excited - DIMPS is the developer for this game, and they co-developed Freedom Wars with SHIFT for Sony. With Sony seemingly super uninterested in pursuing a Freedom Wars 2 for PS4, I'm looking towards Fatal Bullet to see if it can fill the void. A little sad that Platinum's Granblue Fantasy wasn't there, as well as Atlus' Re: Fantasy. I really feel like RPGs at the show could've used less already-seen properties; as good as Square and Namco did in terms of heavy lifting (Digimon and .Hack are certainly both worth looking forward to in their own right. Also, Ni No Kuni 2 continues to look awesome for sure), TGS sure could've used more "new". I will say this though. No one outlet seemd to give a crap about covering indies, and that's a shame because there definitely RPGs there. I know LeGrand Legacy kept updating their Kickstarter during the event to show backers what TGS was like. That game looks fantastic btw; if you haven't seen it, look up a trailer. Its got that 2D pre-rendered or hand-painted backgrounds/3D characters look to it, very reminiscent of Baten Kaitos or PSX Final Fantasies, and its just really cool to see a modern version of it. Also the battle system looks similar to something like Shadow Hearts or Legend of Dragoon or something. Its really cool. I wish some outlet bothered to tour the indies area of TGS just to be on the lookout for more titles like that. I'm certain there were many cool little gems missed out on because of the lack of coverage they got. I love the fact you're keen for SAO Fatal Bullet, yet you despise the series XD Freedom Wars was sooo good though. I really hope every part of it is good, from the gameplay to the story! The Yakuza series is also fascinating me recently. Until watching some reviews, I didn't realise how in-depth it was. I didn't pay much attention to it during TGS but the amount of detail in those games is truly impressive. I remember Granblue was at TGS last year, right? It's strange they've been very quiet about it for almost a year. Granblue looks like it would do really well. As for Re: Fantasy, I'm no expert but I have a feeling that we may not see that one for a while. The lack of details make me wonder how far off it is, but that's honestly just a guess. I wouldn't be against seeing more of it, regardless!